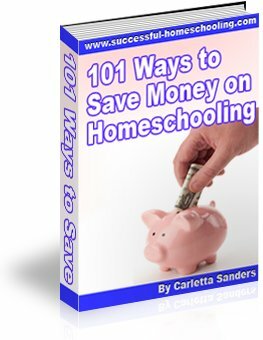 Can't find a homeschooling support group that meets your needs? Grab a few friends and start one of your own! Purpose. Do you want to make friends with other families, plan park days and field trips, or host speakers and events? Do you want the group centered around a specific activity, like science or chess? What will members gain by being a part of your group? Membership. Do you want to be inclusive and accommodate all types of families? Or will your homeschool group focus on a specific religion, teaching method or curriculum? If you form a religious group, will you require members to sign a Statement of Faith? If you form an inclusive group, how will you handle discussions about religion? Structure. Do you prefer an informal group or one with rules, bylaws, officers and committees? A homeschooling support group that begins informally may need more structure as it grows. Will you communicate with members by telephone, e-mail or snail mail? Will your group have a newsletter, website, yahoo group or homeschool forum? Meetings. Will you have food, open discussions, guest speakers or activities at meetings? Are children welcome? If not, will you provide babysitting? When and where will you meet? Homes, libraries, churches, community centers, parks, restaurants, preschools and schools are possible meeting locations. Promotion. How will you let others know about your group? The Internet, radio stations, free television cable channels, newspapers, magazines and newsletters are good places to advertise. You may also want to hang flyers at local churches, libraries and bookstores. Select a date, time and location for your first meeting, and decide whom you will invite. Call or e-mail potential members to provide details about the meeting and your group's goals. Bring a sign up sheet to the first meeting to get contact information from attendees. Recruit volunteers to bring snacks, set up/clean up meetings, communicate with other members and plan events. Here's a printable Homeschool Support Group Information form you can use. Choose a name for your group based on its purpose and location. Send a follow up e-mail to members providing a summary of the meeting and informing them of your next meeting date.